Cloud storage provider Backblaze is back with another hard drive reliability report based on hard drive failures it observed in the past year. Backblaze is uniquely qualified to offer insight into failure rates due to the large number and varied mix of drives it employs. By the end of 2016, Backblaze was monitoring 72,100 drives of various capacities from Seagate, Western Digital, Toshiba, and HGST. The data it collected does not include drives it was using for testing purposes or models for which it didn't have at least 45 drives. Backblaze points out it's more accurate to refer to these figures as annualized failure rates, which are computed based on drive days and drive failures, not drive count. "We start by dividing the drive failures by the drive count," Backblaze explains. 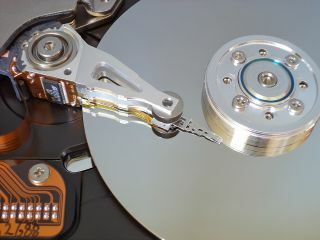 "For example if we use the statistics for 4TB files, we get a 'failure rate' of 1.92 percent, but the annualized failure rate shown on the chart for 4TB drives is 2.06 percent. The trouble with just dividing drive failures by drive count is that the drive count constantly changes over the course of the year. By using drive count from a given day, you assume that each drive contributed the same amount of time over the year, but that’s not the case. Drives enter and leave the system all the time. By counting the number of days each drive is active as drive days, we can account for all the ins and outs over a given period of time." Some may find fault in that method, but it leads to consistent and comparable results. When broken down by manufacturer, HGST had the lowest failure rate of the bunch at just 0.60 percent for all of 2016. That's followed by Toshiba at 1.27 percent, Seagate at 2.65 percent, and WDC at 3.88 percent. Another interesting finding is that only three drives managed to go the entire year without failing. They include 8TB drives from HGST (HUH728080ALE600) and Seagate (ST8000NM0055) and a 4TB drive from Toshiba (MD04ABA400V).